A cost effective and scalable entrepreneurship training program. Reaching 17 000 educated youth by the end of 2018! As of today, 340 million young people are unemployed, mostly in developing countries. To reach the Global Goals by 2030 a strong catalyst for change and development is needed. That’s why we’re building the worlds most cost effective entrepreneurship training programme - ready to plug-in everywhere. 99% of the participants from our YoungDrive level 2 training i Kamuli, Uganda, were running a business after succeeding the YoungDrive training. The businesses run by the entrepreneurs participating in the YoungDrive level 2 training in Kamuli, Uganda, employ 1.5 people on average. The businesses run by the entrepreneurs participating in our level 1 training i Tororo, Uganda made an average monthly profit of 117 000 UGX. Mariam is one of the youths who's been participating in the YoungDrive entrepreneurship training carried out in Tororo, eastern Uganda. 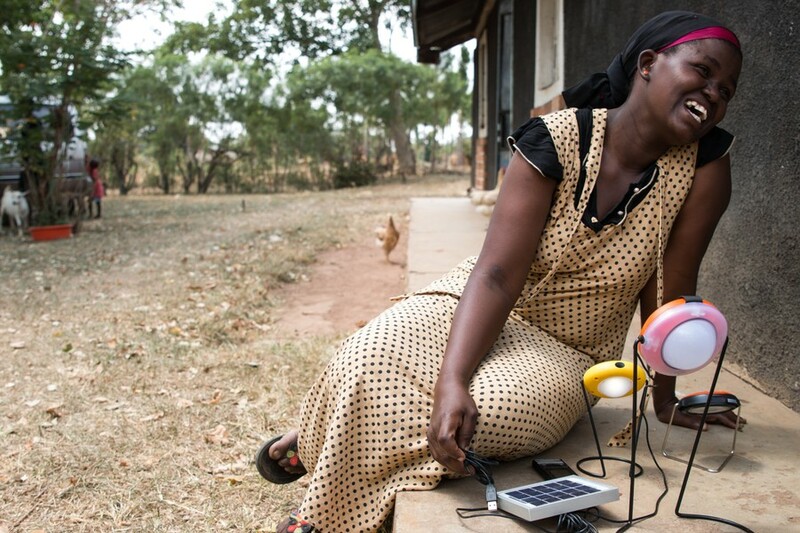 After completed the training she started to sell solar powered chargers and lamps in her area. The profits she's made from her enterprise has been reinvested into her own farm at home. By making a profit she's not only been able to buy new cattle she has also employed two people from the local community to help her take care of the farm when she's out selling solars. Don't hesitate to reach out to us if you have any questions or inquiries regarding YoungDrive, our trainings or earlier projects. We're always eager to get in touch with people wanting to make an impact for the people on our planet. Our earlier projects have received funding from PLan international and Sida. This time - we want the backers to be supporters to entrepreneurship!